Event: Saturday, November 17th, 11am – 3pm, 102A High Street, Talke Pits, ST7 1PH. A beauty and hairdressing owner who started her business with just £70 loaned from her Dad is celebrating a double anniversary. Chloe Burke is holding an open afternoon at her salon to mark three years since she took on the premises and four years in business. 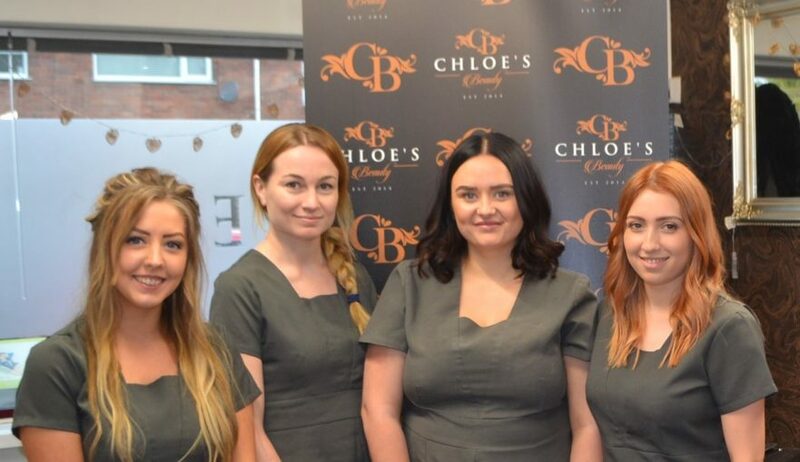 Following a beauty course at Newcastle-under-Lyme College, Chloe was determined to go it alone. She used the £70 to pay for a few days space in a hair salon and within a year had her own premises in Talke Pits. And Chloe, aged 24, has ambitious plans for the future. This autumn, she has expanded her offer by taking on two hairstylists, and her aim is to build the business and buy new premises where she can develop a full beauty spa. 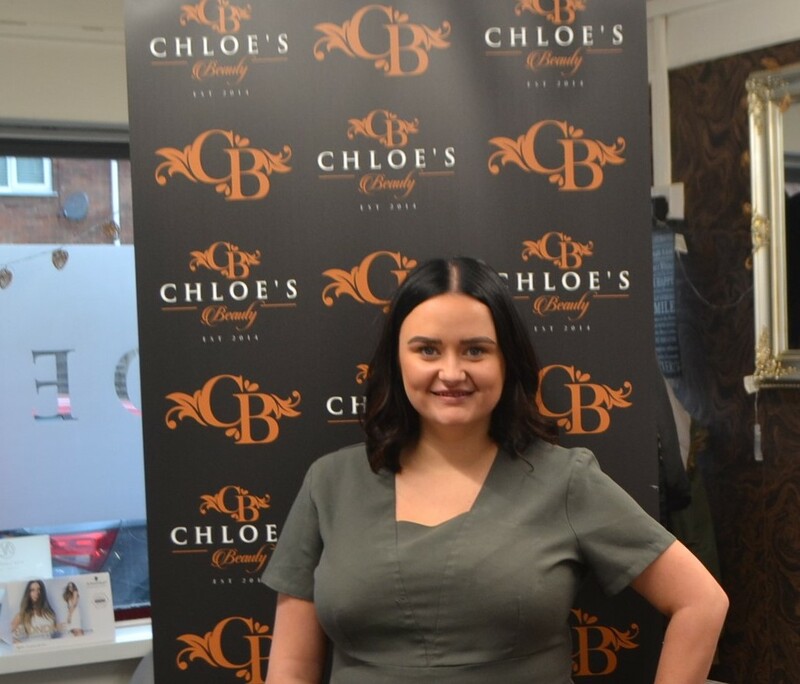 “Business has really taken off in 2018 and I’m holding the open event to showcase our expanding beauty and hair offer,” said Chloe. “I was recently able to apply for a business loan and this has allowed me to remodel the premises and bring in hair stylists Leigh and Ellie. “Going it alone has had its ups and downs and there have been times when I wasn’t taking a wage as all the money was going back in to grow the business. “I have transformed a derelict former Bookmakers shop into a welcoming salon and feedback from clients is fantastic. Now the business is now providing employment for me, two hair stylists and a part time beautician and I have further expansion plans. All are welcome at the celebration on Saturday, November 17th, from 11am until 3pm, at 102A High Street, Talke Pits. There will be beauty treatment offers and sale products, cakes and Prosecco to support Savana.